Hey guys! Today I, PikaPoster, will be showing you some more, newly released, Alola Pokemon. They are Bounsweet, Bewear, Comfey, Mudsdale, Mimikyu, and Wimpod. When Bewear is acting in a friendly fashion, just swinging its arms around, you must never dare to approach it carelessly. It is acknowledged to be a dangerous Pokémon, even within the Alola region. You may see warning signs posted near places it resides. When Bewear grows fond of its Trainer, it may show that feeling in a fond embrace—but the force of that hug is tremendous! Trainers must teach these Pokémon how to restrain their strength when showing affection. Bewear may have the Fluffy Ability, a new Ability that no Pokémon has ever possessed before. The Fluffy Ability halves the damage taken from attacks that make direct contact, but in return it also doubles the damage taken from Fire-type moves. Some wild Bewear use amazing martial-arts moves. Apparently the Pokémon learn these moves by watching Black Belts practicing when they go out to train in the woods. Bewear’s arms and legs are strong and highly developed. Its powerful spine enables it to lift objects weighing a ton or more. It loves to give crushing bear hugs—a tight hug from this Pokémon’s arms will split anything at all in two! Mudsdale is known for its powerful body as well as its emotional fortitude, which keeps it from being agitated by anything. It never cries out, no matter what kind of trouble it’s in, and it defeats its opponents with a single powerful blow. Its legs are coated in protective mud, and the weight of this coating increases the force of its kicks. One kick, and a car is a pile of scrap! Mudsdale’s running speed is not too swift, but it has excellent power and stamina. It can carry on for three days and three nights despite dragging loads of over 10 tons! When Mudsdale gallops in earnest, the power of each hoof-clop can dig out huge holes, even in asphalt. Mudsdale is forbidden to run on some of Alola’s public roads. Mudsdale can have the new Stamina Ability, an Ability that no other Pokémon has had before. With the Stamina Ability, this Pokémon’s Defense goes up by 1 when it’s hit by an attack. Mimikyu lives its life completely covered by its cloth and is always hidden. People believe that anybody who sees its true form beneath the cloth will be stricken with a mysterious illness. People in the Alola region are convinced that you must never try to peek beneath its covering. Mimikyu’s health fails when it’s bathed in the rays of the sun, so it prefers to stick to dark places. It’s rumored that the reason it covers itself with a cloth is to avoid sunlight. Mimikyu has the Disguise Ability, a new Ability that no Pokémon has ever before possessed. The Disguise Ability allows it to escape damage from an enemy’s attack just one time, and then its appearance changes. Mimikyu’s Pikachu-like appearance is due to its Disguise Ability. In order to resemble Pikachu, this Pokémon makes patterns that look like eyes and a mouth appear on a regular scrap of cloth. Wimpod have a cowardly nature and are wary of noises and sudden movements. If you approach them in a group, they’ll immediately run off. When Wimpod feel threatened, they spit out a poisonous liquid. The stench of this toxic fluid signals others that danger is near. Despite their extreme cowardice, their curiosity leads Wimpod to approach people or Pokémon that are standing still. Wimpod eat and store anything that they find fallen on the ground. They also scavenge any garbage that’s been dropped in the sea, so they’re highly valued as cleaners. They sometimes carry pearls or other valuable items, so humans or Pokémon like Murkrow may target them. Wimpod has the new Wimp Out Ability, an Ability that no other Pokémon has had before. 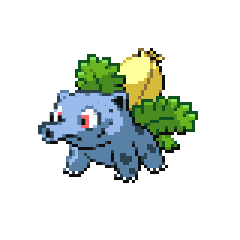 With the Wimp Out Ability, if this Pokémon’s HP drops below half in battle, it will run away or swap out for another Pokémon.